As a legacy land stewards with a unique, kama‘āina perspective, Kamehameha Schools reinvests actively manages assets to ensure their long term productivity and relevance to support Ke Ali‘i Pauahi’s will and organizational educational mission. Kamehameha Schools balances the social, economic, and community impacts while managing and stewarding its commercial real estate portfolio. The health and wellbeing of the community is directly connected to the health and wellbeing of Native Hawaiians. We believe in the health and wellbeing for everyone in the community. As whole community thrive, Native Hawaiians will also thrive as part that community. Kamehameha Schools’ 15,000-acre commercial real estate portfolio is small in contrast to its 363,000 acres of land statewide. These lands represent a third of the trust’s total value, while making up less than one percent of its lands. 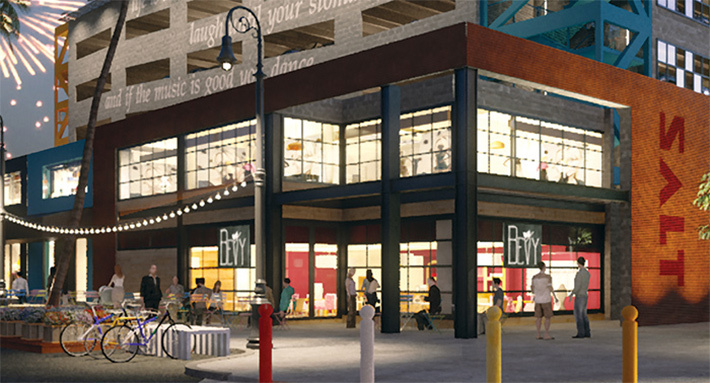 Properties in the commercial portfolio include some of the state’s largest shopping centers, hotels and resorts, as well as residential, office, and industrial properties. The high-performing portfolio consists of a diversified mix of assets in the state of Hawaii and includes significant land assemblages in the urban core that are being master planned and positioned for higher and better uses. Through active and prudent investment management, Kamehameha Schools has achieved total returns in the top 5 percent of peer benchmarks over the past 1, 3 and 5 years. Kamehameha Schools directly owns and operates a portion of its portfolio and also ground leases real estate assets to others. A small sampling of these assets and major redevelopment areas are shown below. 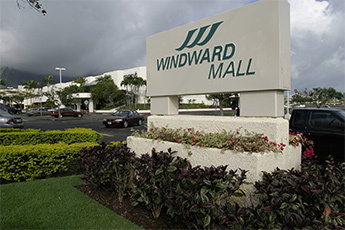 Windward Mall is the only large format mall on the windward side of Oahu. Anchored by Macy's, Regal Cinemas, and Ross the center features more than 110 stores, including a unique mix of nationally recognized brands, Hawaii based companies and one-of-a kind merchants. Fully enclosed and air-conditioned the mall offers free wireless internet access to patrons. The shopping center is located just minutes away from Marine Corps Base Hawaii, which is Windward Oahu's largest employer, with an economic impact of over $480 million annually. The shopping center is located on Kamehameha Highway in the heart of Kaneohe. A true gathering place for the Windward community.